Air Conditioning Services | Fresh Air, L.P. When our customers come to us to either replace their existing air conditioning system, or install one after living without any type of cooling—goodness we hope that’s not the case—we very often recommend one particular system that is growing in popularity. That is the ductless air conditioning in Houston, TX. Ductless systems work on heat pump technology. What this means is that not only do they provide effective and efficient cooling, but they also include a reversing valve that allows you to switch directions that the refrigerant flows. This means that during our, albeit brief, winters, we can get heat from the same system we achieve cooling from. Ductless systems aren’t right for every home, and there are many considerations to make when choosing your next HVAC investment. 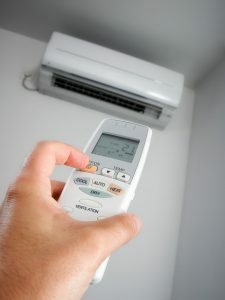 But should you choose to go this route, we do want to let you in on a few care tips that are unique to ductless systems. 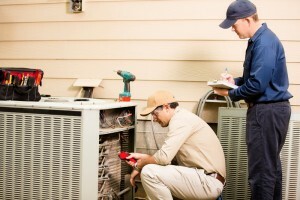 Is Your Home Ready for an AC Replacement? Now that spring is officially here, and summer is right around the corner—not that we got much reprieve from the heat—it’s the perfect time to consider a Katy, TX air conditioner replacement if you think your system has just about had it. A well-maintained air conditioning system has the potential to last about a decade, give or take a couple of years. Whether or not you have had maintenance done on a regular basis though, it’s a good idea to know the various signs of an air conditioner in need of replacement, versus repair. Posted in Air Conditioning | Comments Off on Is Your Home Ready for an AC Replacement? Dust and dirt are so common—and so seemingly minor—that it may seem strange to even consider the impact that they have on your air conditioning system. However, they are in fact pretty dangerous if given the right circumstances. Just as getting sand in a cell phone or other electronic device would cause issues, dirt and dust can create trouble for the components of your whole-home air conditioning system. You probably wouldn’t notice problems right away. But if dust and dirt are left to buildup on and in your system, then you will start to see the impact, and it won’t be pretty. Keep reading to learn more about these issues. Beware These Common AC Emergencies! It can be difficult at times, to know when it’s necessary to place a call for an air conditioning emergency. Some of the most common calls that we get is that the air conditioning system isn’t blowing cold air or that it isn’t turning on at all. Sometimes this can be traced back to a minor problem such as a mistakenly changed setting on a thermostat or even a power outage. Other times, however, it truly is an emergency, particularly if you have occupants in your home with special needs that can’t go more than a few hours without cooling. Keep reading for some of the most common emergency calls professional HVAC technicians receive. Posted in Air Conditioning | Comments Off on Beware These Common AC Emergencies!